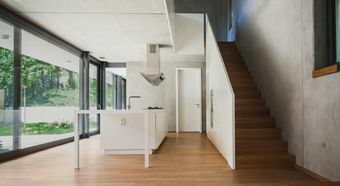 This house built in 2015 for a Japanese-German family is in the Berlin district of Wilmersdorf. 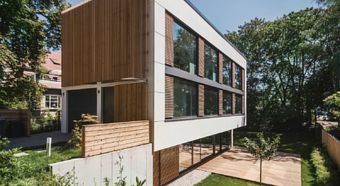 Consistently aligned towards the south, as an energy-efficient building (Development Loan Corporation low energy house KfW 55) it thus uses the winter sun as much as possible. 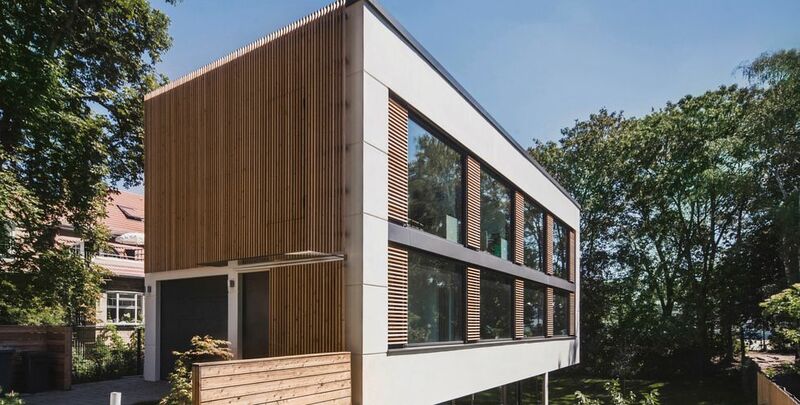 KNX technology turns the three-storey house into a Smart Home and makes functions such as lighting, shade or temperature convenient to control. 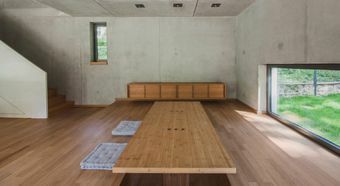 The electrical installation in the house is by JUNG. In the design of the classic LS 990 switch in white, it underlines the reserved ambience. 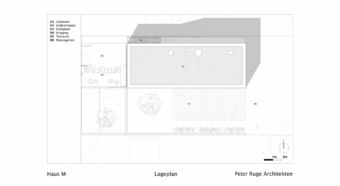 Towards the street, the building blends in to the surrounding villas with a floor area of around 320 m². 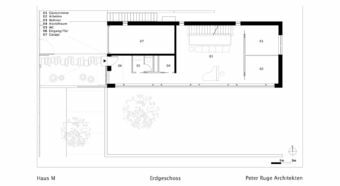 Wide banks of windows on the garden side, individual panes on the street side, narrow, vertical wooden slats and a formulated horizontal jointing on the concrete façade adorn the lengthwise rectangular building. The property drops by around 2.6 metres towards the centre. 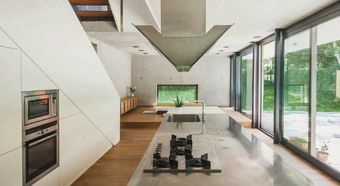 As a result of this large change in level towards the centre of the property, there is also a garden floor that is connected to the courtyard garden at the front. 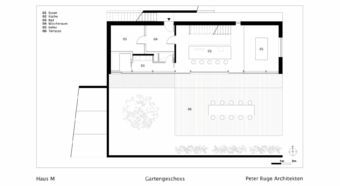 On the garden floor there is the central kitchen area, a sunken dining area and a Japanese bath. 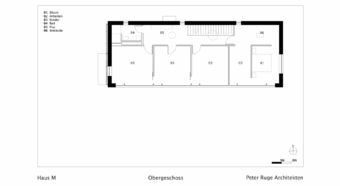 On the ground floor there is the entrance area, living room, guest room, office and a garage. On the top floor there are three children's rooms, the parents' bedroom and a shower room. 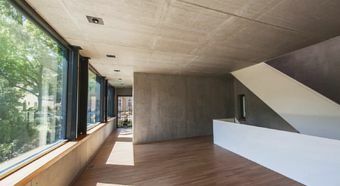 A three-storey atrium connects the floors. In the garden, the generously sized wooden terrace with Japanese cherry tree and bamboo invites to linger.